The workouts are an awesome combination of cardio, strength, and core. There is a huge variety, so your body does not ever get used to the same thing which allows for you to continue to see changes as you work different parts all the time. Workouts are intense but fun. I always feel challenged, yet not overwhelmed. The best feeling is at the end when you feel accomplished and stronger. Also - you are super sore after most workouts. Q: What does an average day look like on the meal plan? Veggies, protein, grains, some fruit, some carbs, and plenty of variety if you want it. I never felt deprived and best part...never felt hungry! At first, you'll be hungry. But once your body adjusts to this new way of eating, you will feel better than you ever have. You get three meals and two snacks per day and there are so many good things to choose from. I was surprised by how tasty most of the meals were. I definitely found my favorites and enjoyed plugging them into my meal plan for the week. Some days were harder than others, but I agree with Lesley - stick with the meal plan! That's where you get results! Q: What were your results, and what did you think of your results? I lost 10 pounds and 9 inches! Plus, gained an arsenal of knowledge that I can always use going forward. I was very happy with my results and I am looking forward to my next session next month. In two sessions, I have lost 36 pounds and 21.75 inches. My first BB plank was 0:38 and my last was 3:27. My first high knees was 0:40 and my last was 4:00. I went from not being able to jog down the block to consistently running 4+ miles, and I completed a 5k at 8:27 pace in October. I am stronger, healthier, kinder, and happier. While my results could not necessary be seen on the scale, I noticed differences in how I felt--I had more energy and I was doing other fitness activities better and faster than I was before. I also saw my clothes begin to fit better. I was thrilled with my results. I lost the weight I wanted to lose, fit in my clothes, but best of all - was more confident in my body and self. Since the course, I've carried what I learned as I continue to meal plan and try healthy recipes. I never realized how much sugar/oil/flour I was used to. So thankful for BB! Yes. A million times yes. Plus if you pick a night class you get a bedtime reprieve a couple nights a week! YES. Now hold on while I go ugly cry. Body Back changed my life. Not only does my body look and feel completely different, but I am more mindful, more organized, more confident, a better wife, a better mom, have great friends, and I just live my life better. It makes me cry every time I think about it. 100%. I feel like a new person. I have already signed up for the next round! Q: What do you talk about in the private Facebook group? Everything! Lots of yummy recipes, sweaty selfies and plenty of encouragement. Plus, we have fun challenges and we check in with each other on the go when we need help. I had a catered lunch at a work seminar once and I wasn't sure what I could eat. I checked in with the mamas on the FB group and within minutes they had my back helping me make a healthy choice! Everything! We shared weekly meal and workout plans, struggles, and successes, reached out for support when we wanted to quit or skip a workout... it was one of my favorite parts of body back. One day, I was having the hardest time motivating myself to work out and I logged on, said that I was going to do a workout and that I would post a sweaty selfie by 3:00. And it made me do it! We share our temptations - cookies at work, table full of treats at birthday parties, etc. We also share sweaty selfies that have on more than one occasion encouraged me to get up and do a work out! It's a great place to find support and encouragement, as well as meal plan suggestions. Q: What's the most difficult part? For me it was starting. It's a radical change and your body needs time to adjust to the new way of eating and exercising. I know for others it's the middle, when the excitement has worn off and assessments are still far away. For me the most difficult part was changing the way I ate the entire day, every day. Sticking to the meal plan for special events (going out with friends or family, holidays, etc.) My advice for those situations is to eat as healthy as possible for as much of the day as you can, then enjoy the event, but keep moderation and healthy choices in mind. Q: What is something that helped you succeed in the program? My BB village and a whole lotta grace. You HAVE to grant yourself grace during this program. It is NOT about perfection. Over the course of 8 weeks, you will make a few choices that aren't "BB approved." That HAS to be ok now and then because that's how life is. You have to figure out how to make this thing work for you because you want the changes to last. If you put the pressure of perfection on yourself, you will spend 8 weeks feeling resentful instead of energized by the lasting change you are creating. I was dedicated in class and also outside of the program. Making friends in the program really helped. I looked forward to class every week because of the camaraderie we had in our group. Also, committing to filling out and sticking to the meal plan is where I think I found the most success. Q: What surprised you during the 8 weeks? How much confidence I gained back. I made friends, I learned how to eat the right foods and I learned that I need to give myself a little grace. 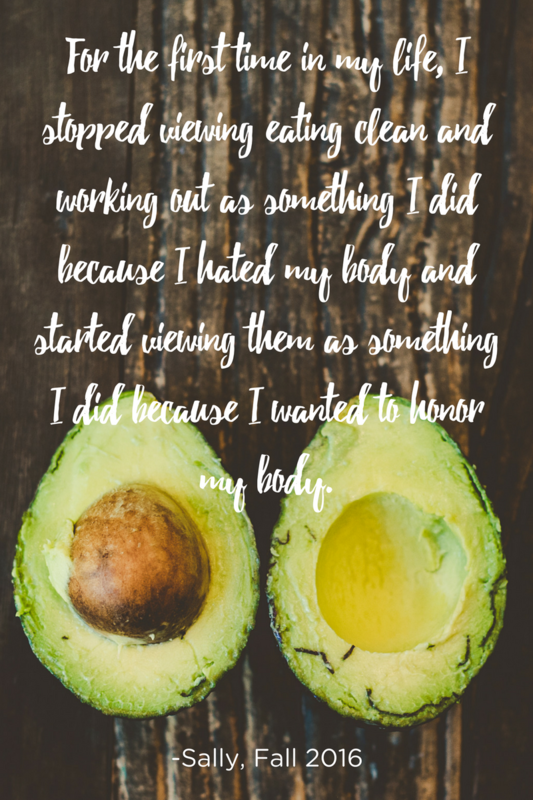 For the first time in my life, I stopped viewing eating clean and working out as something I did because I hated my body and started viewing them as something I did because I wanted to honor my body. How strong and GOOD I felt! I looked back at my goals for the session and without fully realizing it - I had completed all of them! What a great feeling. Ready to sign up? Email lesleylehman@fit4mom.com. We have 4 spots left in each session. Lombard session is already FULL!